Akiko Fujita is a multimedia journalist based in Los Angeles, and a regular contributor to The World. 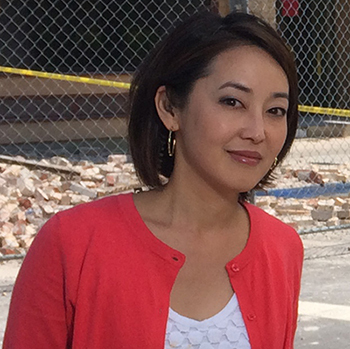 Prior to her move back to the West Coast, Fujita spent more than 4 years in Tokyo, working as a correspondent for ABC News. Her work has also been featured in The Wall Street Journal, ESPN, Al Jazeera America, and CNN. There's a thriving hijab fashion scene in Indonesia. But as more and more women there are wearing the hijab, some women who don't say they're feeling the pressure. There were parts of my grandfather's life he never talked about, his time during the war. But he left clues I'm just now finding. Some call him "El Maestro" — the master — but his real name is Jorge Tello. It’s a fitting title for a Los Angeles-based tailor known for crafting some of the most intricate suits around, those worn by Mexican mariachis. But Tello isn’t even from Mexico. Asian Americans typically turn out in low numbers for elections. But some state-based organizations are looking to change that by making Asian Americans and other immigrant voters better acquainted with the election process. Many of the kids who crossed the Mexico-US border this year are now in Los Angeles and starting school. But it's not so easy to leave behind the violence they witnessed, and which drove them to flee, and simply start over in America. It may seem hard to believe, but Toyota almost didn't make it in the US. Its first car, the Toyopet Crown, was a flop. Toyota helped establish a huge Japanese-American community in Torrance, California that finds it hard to imagine the company is moving on. Primetime dramas in South Korea — known as K-Dramas — are filled with implausible story lines, complete with romantic twists and turns. They’ve been popular in Asia for years, but thanks to online streaming websites, they’re now gaining a cult-like following in the US.